Why order custom menus from us? We offer menus with a wide variety of sizes, stocks, and quantities to meet any customer's requirements. If you order custom menus from us, we guarantee that you will be happy with the high-quality full color printing, specialty stocks, and a great price! 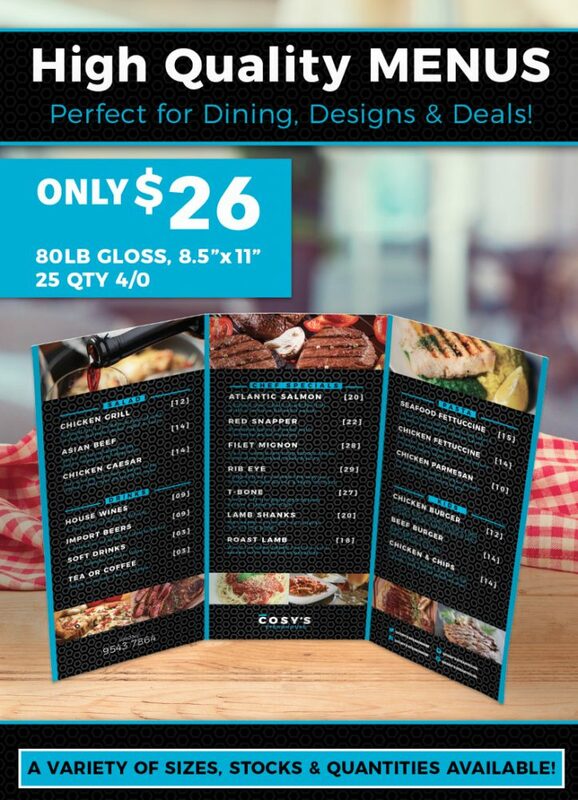 We can print as few as 25 or as many as 100,000 menus.